This book is EXCELLENT! To anyone who does storytelling----or flannel storyboards this is an excellent multicultural experience. 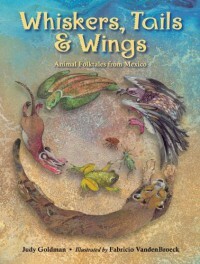 There is a set of folktale stories from different indigenous tribes in Mexico with an explanation of cultural, glossary of word pronunciation, and the stories are straightforward, fun, and would be easy to tell again...and again. The bibliography includes a VAST amount of multimedia sources on the folktales and resources used to create this book. It was completely fascinating and I definitely will be using this book to grab some stories from.